Augmented Reality (AR) is a visual modification technology that overlays virtual imaging on top of the natural world around the user. 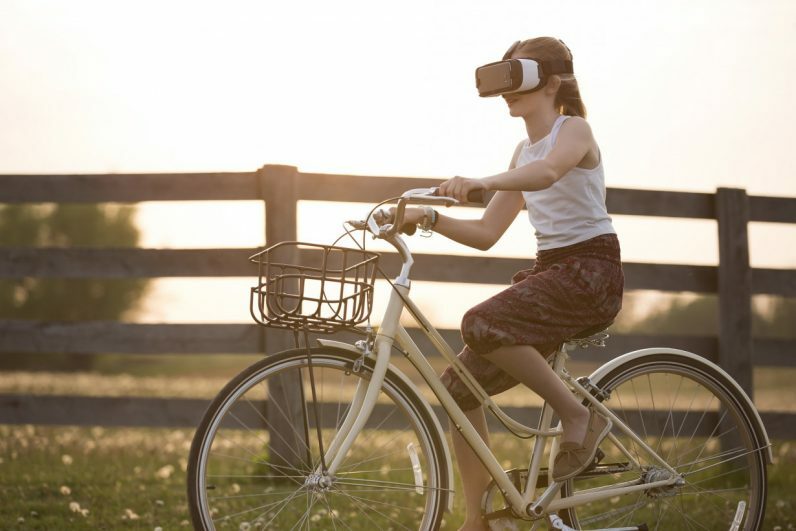 AR is very similar to Virtual Reality (VR), both requiring a device such as a tablet or a headset for viewing; however, AR integrates with the real world, while VR is entirely digitized. Both have extensive uses in gaming, videography, logistics, and other industries that have started to field-test possible applications. The concept of displaying augmented imaging over a real-world image isn’t a new idea. Oakley, the sports sunglasses manufacturer, has been working on projecting images over clear lenses since 1997. The tech made its first significant debut when Google announced its project Google Glass in 2011. A failed marketing approach left the product in the dust, which now serves as a novelty item for tech enthusiasts who want a trinket of history. But while Google Glass might not have taken off, the tech itself is still very much alive. Whether we realize it or not, most of us are getting a daily dose of AR. All those animal-eared Snapchat and Instagram selfies and videos are AR technology at work, as is the Pokemon Go! app that exploded in popularity upon its debut. Many consumers also use in-store retail apps to scan and view product details, and more than a few of us pass by a bus stop or other digital billboard on our commutes; all of these engage basic AR applications. Despite the prevalence of these technologies, people still aren’t viewing AR as a mainstream tech product. But Apple CEO Tim Cook doesn’t think that will be the case for long. “AR can be really great…We are high on AR for the long run, we think there’s great things for customers and a great commercial opportunity,” he claims. As new AR products are developed by companies like Apple and Microsoft, the industry will continue to gain traction with new consumer demographics. A quick look at the roster of AR innovation at CES 2018 shows there is a growing ecosystem that will eventually support widespread adoption. That being said, there are three key areas that need to be addressed before AR will become a household commodity. There is a reason why ergonomics is top of the list. No matter how many features a pair of sunglasses offers — polarized lenses, a great color, the Ray-Ban logo — no one wants to wear a pair of goggles on their head during their daily routine. The same applies to boxy AR glasses that are housing oversized technology. Aside from appearing dowdy, the discomfort of wearing the glasses would eventually lead the user to take them off. Smart glasses could easily replace smartphones and tablets as our regular information interface, since they serve as a seamless extension of the body, bringing the information interface closer to your natural senses. But until a pair of AR smart glasses can blend as well as any other pair of glasses with a user’s style, their popularity won’t take off. Computer programmers and developers alike have an industry term called “feature creep.” It refers to the consistent addition of new features and utilities to software — upgrades are nice, but constantly having to keep up with new updates can result in users losing interest altogether. The possibilities with AR are endless, so it’s not surprising developers are eager to try them all. But the average consumer isn’t looking to push tech boundaries right away — another reason why even the most mind-blowing AR glasses won’t matter until they look “normal” enough for everyday wear. Average Joes want smart glasses with a mass of futuristic features. In fact, that approach will quickly cause people to run back to their smartphones, where they feel safe and comfortable and familiar. To become a more mainstream product, AR developers should focus on the essential aspects of a smart device — calling and chat functions, GPS capability, social media engagement, and so on — and as consumers become more comfortable with smart glasses, expansion into experimental features can be explored. 75 percent of Americans use glasses or some form of corrective lenses today. With three-quarters of the population in need of corrective lenses, it goes without saying that smart glasses need this option. It’s mind-boggling, then, to learn that very few AR manufacturers currently offer this feature. Prescription glasses have long been in existence, begging the question of why in the world Rx-integration into smart glasses has taken so long. A simple implementation of such an important feature would surely bring AR smart glasses to a point where any user could adopt them with ease. Besides, when you’re trying to convince people to wear glasses about in their everyday life, it definitely makes the most sense to start with people who are already wearing glasses, right? Manufacturers are putting countless hours into perfecting each aspect of these devices. The monotonous development tasks can make it easy for engineers to gloss over some of these fine details, especially if they aren’t thinking from a user’s perspective. Features like slim, personalized design and prescription lens incorporation may not be the most exciting assignment for product developers, but they are essential features a smart device needs if there’s any hope of AR being incorporated by the general public. Augmented reality is gaining ground, with projections of revenue increasing by ten times its current amount by 2020. In order to sustain that growth and avoid the mistakes of past AR ventures, manufacturers need to focus on three key areas to help create products that consumers and commercial users can rally around.